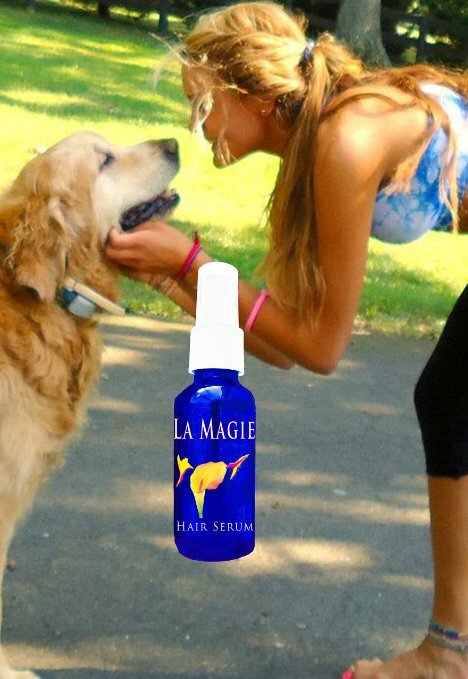 I just got this great hair growth serum from La Magie. I was really impressed with the ingredients of this product, it is full of healthy vitamins and minerals rather then chemicals. Really easy to use. Just part your hair and spray from the bottle and massage into the scalp. Leave it on the hair about 20 minutes or if you want you can sleep with it on overnight and wash it out in the morning. I have noticed that my hair feels healthier and stronger since using this product. I feel like my hair has a glow about it, looks shinier and just overall feels better. I have not notice any growth though, it hasn’t gotten longer that I have noticed. So I can say that it has helped to make my hair feel healthier and I would keep using it for that reason but I can’t say that it has caused growth. STOP HAIR LOSS: EXPERIENCE INCREDIBLE HAIR – Organic Pumpkin seed oil offers broad-Spectrum DHT Blockers which inhibit DHT formation (which causes hair loss) through its effect on 5-alpha-reductase activity. WATCH THE SOLUTION WORK AS THE PHOTOS TO THE RIGHT SENT BY HAPPY CLIENTS PROVE. Lavender Absolute has a higher concentration of esters than lavender essential oil providing a healing environment. WATCH AS YOUR HAIR GROWS! Secret essential oil blend of 15 oils (less than two percent very safe and gentle) which are part of La Magie’s solution which actually assist hair and create thicker hair. There are absolutely no artificial fragrance, color, additives, or impurities.